I’d be remiss if I didn’t mention that MONSTER formed a few years ago with the intention of going to Prague. They’ve developed their team carefully by playing together year around and building up the personal chemistry that most teams try to use power to compensate for. Their knowledge of each others’ moves, speed, and throws makes them a tough opponent as they’ve always been amongst the most feared teams (and sought after team) in Tournament play. I was hoping to get a look at MONSTER by now but my tournament schedule has conflicted with theirs and we’re left guessing as to their strength. All is not lost though as this upcoming weekend is also the weekend of Mixed & Masters Easterns with all of the elite teams from the NE attending. In addition to MONSTER we’ll also see Onyx (2nd at CUC 2008), RIP (4th at CUC 2008), and BFC (2nd at CUC 2007) in addition to the usual elite NE Mixed teams. More results from MME and analysis at the end of the weekend. Note: I originally had Tundra listed as an attendee of MME but it turns out they’re not going. It is possible though that they’ll be at Poultry Days in two weeks. 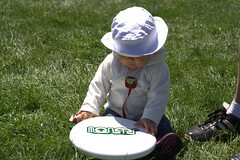 This entry was posted in Canadian Ultimate, Tournaments, UPA, WUCC 2010 and tagged CUC, MME, MONSTER, Prague by Tushar. Bookmark the permalink.